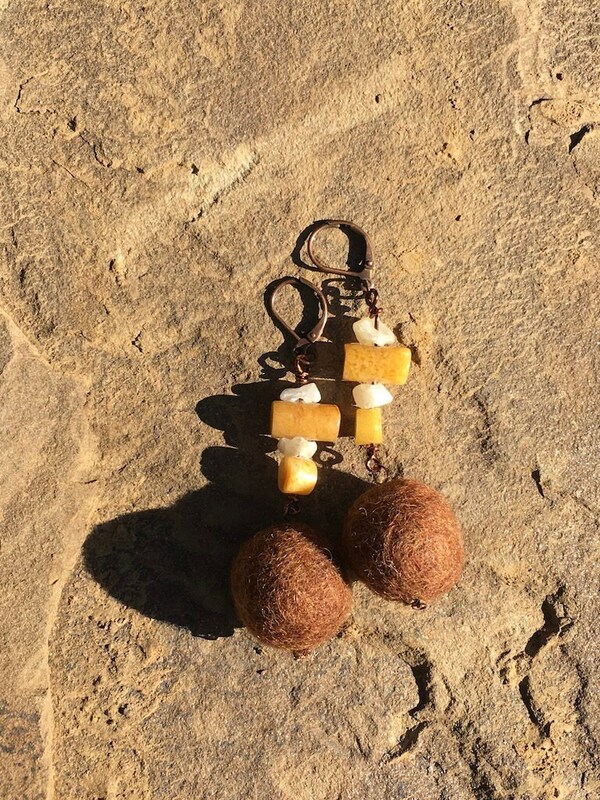 Nuggets earrings - Beautiful mix of felt and natural stones in brown and ocre tones. Lightweight. 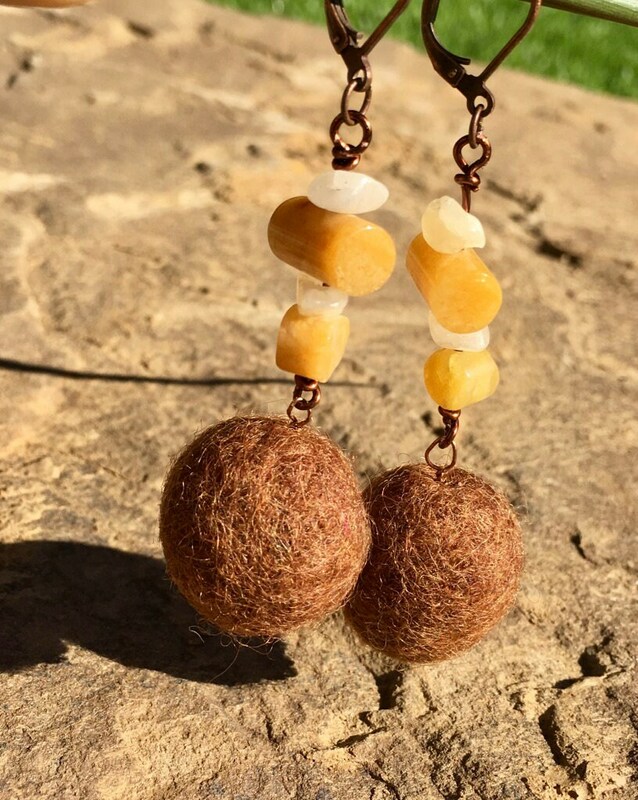 Beautiful mix of felt and natural stones. 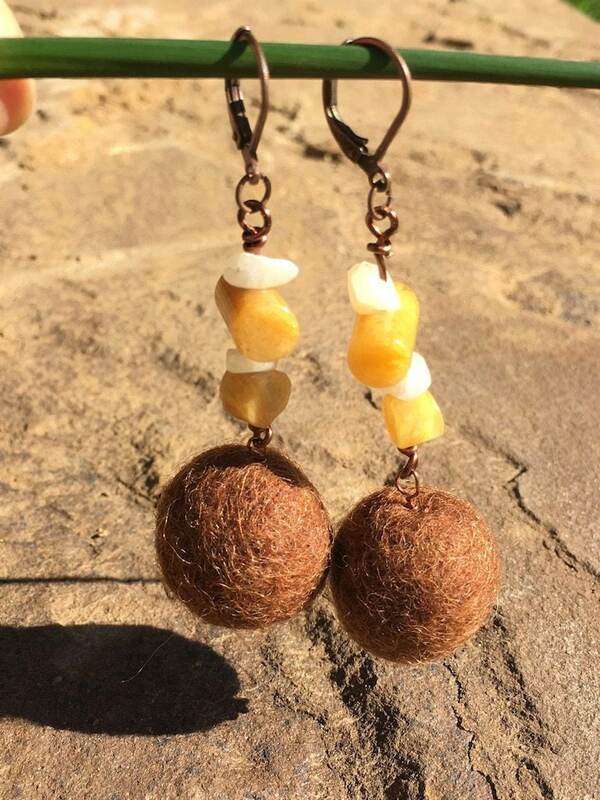 These lightweight earrings are a great color combination of deep brown felt in the shape of a sphere, and cylinders of jasper nuggets in ocre yellow and white. The metal selected to combine it al is a dark shade of copper. 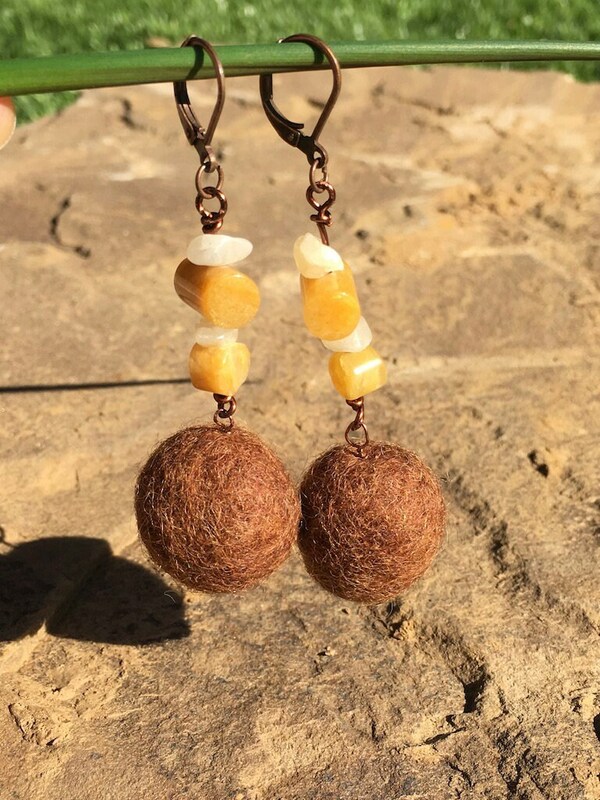 These earrings are fun to wear in any season, as the felt works great in winter but the cheerful tone of the stones are light and summery.